Breq - the soldier who used to be a spaceship - is serving the emperor she swore to destroy. 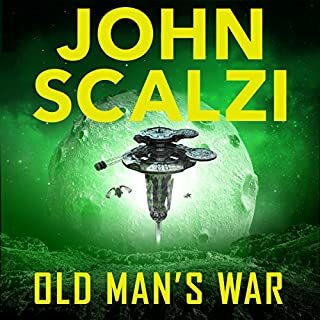 She's been given her own warship, her own crew, and ordered to the only place in the galaxy she would have agreed to go: to Athoek Station, to protect the family of the lieutenant she murdered in cold blood. Athoek was annexed by the Empire some 600 years ago, and by now everyone is fully 'civilised'. Or should be - but everything is not as tranquil as it appears. Old divisions are still troublesome, Athoek Station's AI is restless, and it looks like the alien Presger might have taken an interest in what's going on. With no guarantees that their interest is benevolent. That's how I described the book to my girlfriend. I absolutely love how subtle societal mores of the depicted cultures are described and exploited to give such a sense of depth and breadth to the universe. An utterly unique take on science fiction that does not come across as fluffy in the least. 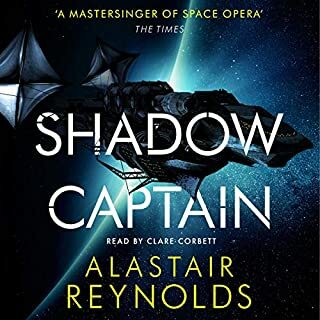 I love hard science fiction and where necessary it is mentioned here with light speed delays being mixed comfortably with hyper space jumps while the crew are holding tea parties attended by human bodies controlled by artificially intelligent ships. Exploration of interesting subjects from coping with loss to how an artificial intelligence in control of multiple biological bodies might take care of all of their needs. If you hadn't guessed, I greatly recommend this series to anyone who finds subtle social situations, unusual cultures and even the melding of human and machine to be of interest. The beauty of this sf adventure is the concentration on interactions and petty politics. This seems like the best of early novels from Austin or Bronte, but there is no comprimise in the science fiction. 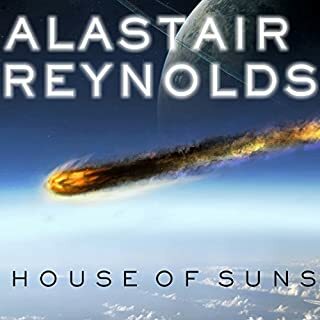 Most of the novel sf themes were introduced in the first of this trilogy so it is surprising that this investigation into problems in a star system is so compelling. Fleet Captain Breck does have some secret powers and weapons which gives her just the right edge. 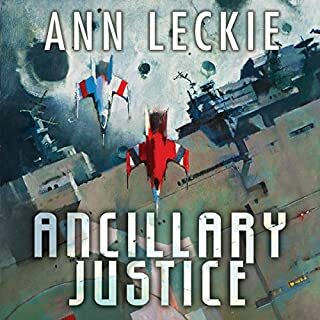 I suspect it would be best not to start with this book, but read Ancilliary Justice first because some of the facets of the unuverse critical to this trilogy are best revealed slowly. I was really pleased with the depth of story and characters in the first book, which set a high expectation in the second. However I sadly didn't find the story to be of the same place. It didn't have the same excitement or purpose. Still I stuck with it hoping that it would pick up. However it didn't. 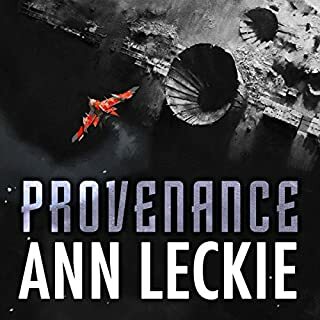 I miss Iain Banks, but now I've got Ann Leckie. Enough said. She's a great new discovery for those who like intelligent hard fiction. A little slower paced than the first book, but enjoyable. Great narration. Continues the world building and sets the scene for book three. i loved the first book, and this one does not have the same suspense and mystery of the first. still a very enjoyable read though. It's nice to continue following the story but when the climax of it started I was surprised. I felt nothing particular had happened so far. Overall the story felt like a setup for the next book. The performance is great. Engaging and with a range of accents. Part of the charm of the first story was the many and potentially simultaneous POV of the ancillaries. This dual POV is again present for some scenes but it feels more like a technical exercise and it's odd how these disparate but important events seem to happen at once. The single gender pronouns continue throughout the book. I feel I have a better sense of characters gender but I may well be wrong. I suppose it doesn't matter to me, which is the point after all. I had a feeling it was much better than the first book and now when I think about it, maybe it's because I needed the whole first book to be able to immerse in that universe and understand it and fall in love with it, to get used to the weird names, traditions and the way how she calls everyone a "she". It might have less action than in the first book but what kept me involved and fascinated was the development of characters and especially the main hero, of course. The way she sees humans, the depth of it, also the humorous and smart logic everywhere, the emotions...! I understand it was "politics" all over the place but I hate politics and I loved this story. So - I think if you loved the main hero a lot in the previous book, the way she thinks and acts, then give this book a chance even if you dislike politics. 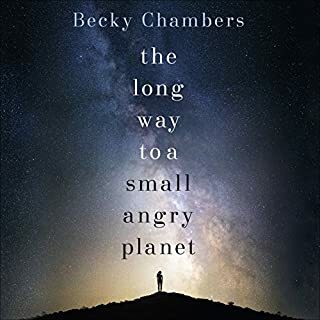 What frustrated me in the first book, here worked amazing - there are secrets everywhere and they are revealed one by one slowly and whenever you think the book calmed down and could (only could but didn't ever) get a bit boring, something always pops up and stirs the peace. 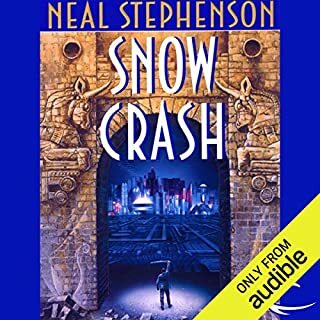 I didn't think at all before grabbing the third book to listen on! The performer was amazing! I found out there is only one voice and accent she used in the previous book that I disliked. And as that nation wasn't present here, the rest of her voices I liked a lot. And she was amazing at displaying the emotions! 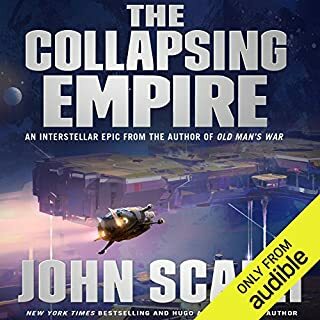 I already have - a new angle on SciFi that is beautifully written and narrated. Not quite as tight a story as the first book, clearly positioning for the third...but it can't come soon enough. Ms Andoh is a brilliant narrator. Have you listened to any of Adjoa Andoh’s other performances before? How does this one compare? Ancillary Justice - and she's still great. Nice second part, Waiting for the third book! 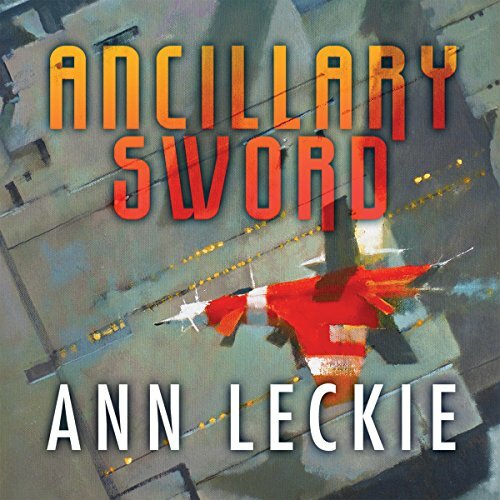 After really loving the first book on the Imperial Radch series, Ancillary Justice, and seeing that I was not the only one (is there any price Leckie didn’t win?) it was a no brainer to continue with the series. 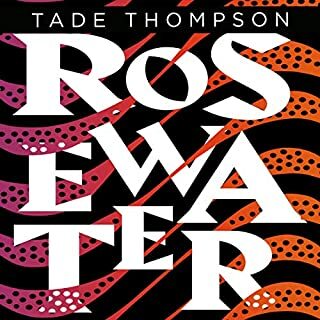 It was hard to though, because as it turns out, the changed the narrator (First book was read by Celeste Ciulla and this one is Adjoa Andoh) and so several of the pronunciations, names, etc changed and for the first quarter of the book it was hard to fully engage. Once I was past this, the story was great. Leckie has a gift in building and sharing this new different cultural groups and the Radch universe can be very dark and very colorful at the same time. While the first book was intended to be obviously the introduction to the world and developed the revenge sentiment in Breq, this book went deeper into her as character, and that was great. I really appreciated the character growth and development not only for Breq, but for Seivarden and all the rest of the team in Mercy of Kalr. Breq is still the main voice in the story, but as she herself points out, she is missing her extra ancillaries, and while she still has the connection to Ship, there is a void on how she can “see” or perceive multiple events, compared to what she was in her past with Lieutenant Awn. Her getting accustomed to her new “unique” self was a very different part of the story, but one I really did enjoy, actually feeling her confusion and somewhat sadness to “just be one”. At first I disliked Lieutenant Tisarwat but by the end of it I was quite fond of her and I am hoping to see her again in Ancillary Mercy. While in this book the focus is settled in character development I feel there is still room for surprise from all the main characters. The book is set in Athoek Station, far away from the lord of the Radch, but certainly not far from political intrigue. In case you haven’t noticed, the Radch are very keen to maintaining or improving their social status and what is “proper” might change according to what is convenient. Not for Breq; in my own opinion she sticks to the parameters of being a Radchaai even better than any other character even if she despises a big deal of this façade based behaviour. 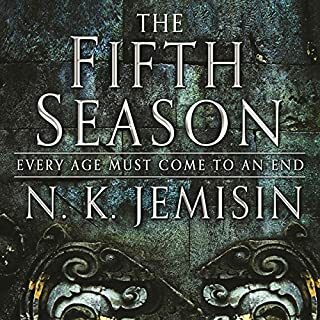 As much as I liked the book and even if I wasn’t expecting the final twist (no spoilers, don’t worry) there was something missing and I can’t help but to think that this feeling comes from the struggle to engage with the story at the beginning, due to the change of narrator. 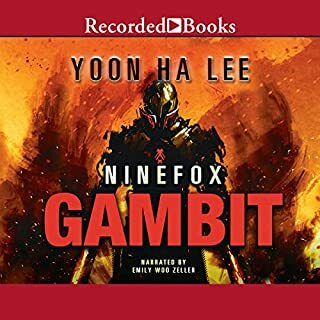 While both narrators did a terrific job, I am used to a certain continuity of voices by now when I am listening to a series. This does not dissuade me from waiting anxiously for the next book. 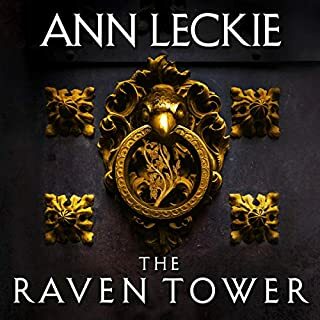 I still loved the whole world that Leckie has constructed for us, and contrary to some reviews I saw, I didn’t feel like the political critique was heavy or obscured the rest of the story; on the contrary I think that it is one of the sides I enjoy the most of the series. Let’s hope the trilogy closes with all the spirit and strength present in AJ. 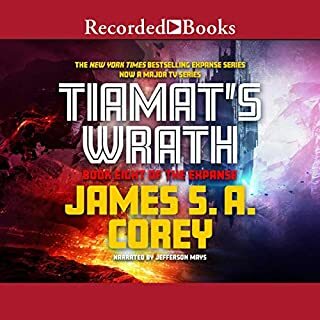 The story aside - which you will pretty much know if you like by having read the first instalment in this series - the narration in this audiobook makes listening to it almost insufferable. Apparently the narrator have the idea that everyone speaking is either dead drunk or high on helium. This makes the narration go from almost impossible to decifer to eardrum shattering high-pitched. Furthermore it has the effect of making the story seem like a caricature giving this otherwise thoughtful book an unintended comical aura. In summary, i really HATED the narration. The fundamentals of the story are good, but it lacked a bit of pace. 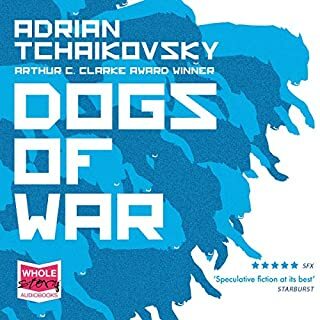 The narration on the other hand was fantastic: so many different voices; but all amazingly clear and natural sounding. it was a little jarring going from one book directly to the next with a different nerator, especially as a lot of the names are quite unique and probably are only known to Anne Leckie. Adjoa seems the perfect well spoken person with a neutral British accent and sympathy for the ex colonies who seems to exemplify the forward thinking tone of the book. It took about a third of the book but after then I really appreciated the obvious effort she took in understanding all the characters and bringing them to life. 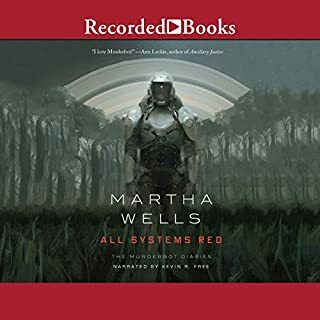 This follow-up to Ancillary Justice continues to intrigue as the author expands her unique universe and its inhabitants, but the plot evolves at a glacial pace. That said, the characters are interesting, the social commentary is good and new characters settle well into the story line. 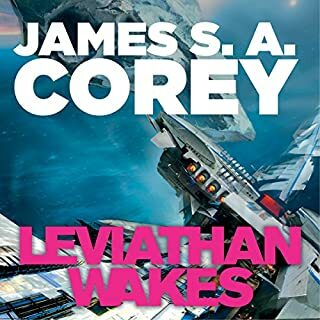 Those who like lots of action and techno-wizardry in their SF might wish to look elsewhere, but this book builds on the first novel in a satisfying manner. Although the pace of the story can dawdle at times, I'm still keen to listen to the next instalment in the series when it arrives. 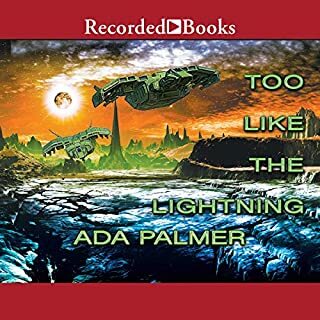 The narration by Adjoa Andoh is very good, with a pleasing variety of voices. I really liked her work in Alastair Reynolds "On the Steel Breeze" and this work is just as good. 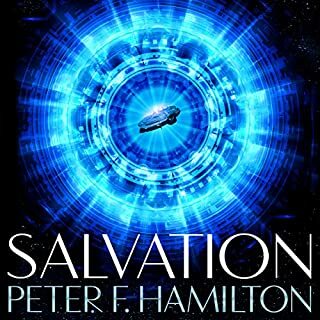 Recommended if you like a slow burning SF story with a social conscience.